Breck Mountain Rotary has launched "Summit County Young Professionals" for the young and young at heart. Our focus is on providing fun networking opportunities tailored to meet the needs of our community. Check out our 2019 Schedule of Events! Like the SCYP Facebook Page to keep up with upcoming events! We enjoyed riding the slopes (and saw some moose!) together at this event. For those who were still riding/skiing, the "moonrise" was pretty spectacular. For this event, we had a pretty casual meeting at Kickapoo for drinks and food to come in from the cold. Thanks for your support for this outdoor event! We had a great time playing some networking games and enjoying some live music as we socialized. Thanks for a very strong turnout! Our December event included Trivia as a way to break off into teams and have a little more time to mingle in small groups. Light fare was provided courtesy of Angry James Brewing and we had great prices on tap local beers. Thanks to everyone who joined us and enjoyed a new social network throughout Summit County. Our kickoff held on Tuesday, 10/16 @ Burke & Riley's was a huge success! Participants were able to make new friends, gain some knowledge, and enjoy an opportunity to create a more robust community of like-minded people that enjoy learning something new, meeting new people and stepping out of your comfort zone. As always we would love your input so any feedback or ideas you would like to see come to fruition for our next event, please don't hesitate to share those ideas with Taylor, Joe and Candy. 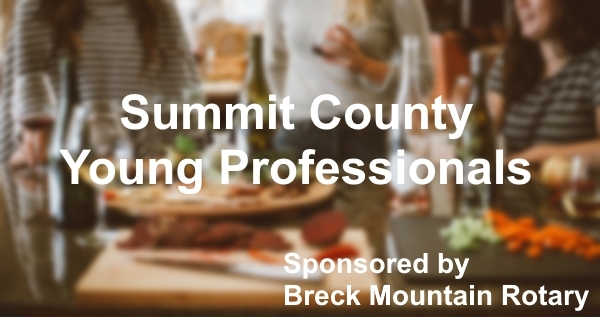 Stay tuned for more details to come on our new Summit County Young Professionals Networking Group.